The model B12 sleeve valve can provide superior valve performance for angle flow control, pump control, tank level control, metering vaults, reservoirs discharge and ground water recharge. This sliding valve dissipates energy and controls flow by diverting the water path around a sleeve and into a valve body. 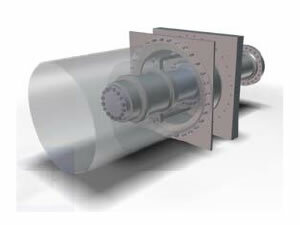 Sleeve valves are widely used in flow control application as energy dissipating valves discharging to atmosphere. 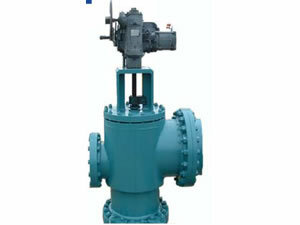 This water valve is also applied to reducing pressure, maintaining pressure and pressure control. 1. This sleeve valve has excellent anti-cavitation performance. 2. It has the function of linear adjustment. 3. This water valve is featured with angle layout. 5. Our sliding valve is a high-precision adjustment valve. Corroco International Industrial Co., Ltd is a professional manufacturer and supplier of sleeve valves in China. In addition to this sliding valve, we also supply other water valves, such as butterfly valve, turbine inlet spherical valve, model C20 cone valve, model N needle valve, etc. With 12 years' production experience, our products have been exported to the United States, Canada, Britain, Germany, Iran, Pakistan, India, Kuwait, Dubai, Saudi Arabia, the Philippines, Malaysia, Singapore, Congo, Turkey, etc. They are well received by our clients from both home and abroad.